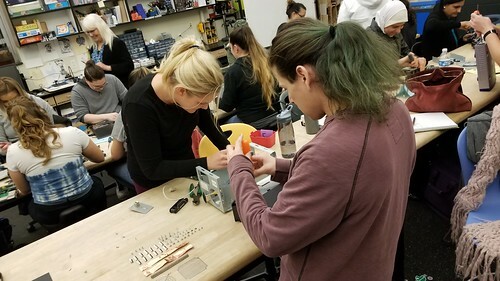 This semester, Jennifer Kraemer (professor of Early Childhood Education and makerspace champion) and I are teaching a new course we developed – Making For Educators – for the first time, a hands-on course to help educators incorporate making into their teaching practice. It’s the second of our discipline-lensed making courses, including Making Social Change, a Sociology course we’ve taught now twice, in which students explore social movements and the ways that those movements use tools to enact change. For ECE 452, we’re using the excellent Invent to Learn by Sylvia Libow Martinez (@smartinez) and Gary Stager, Ph. D. (@garystager) as our text, and the class meets in the makerspace. Tinkering is a mindset – a playful way to approach and solve problems through direct experience, iteration, experimentation, and discovery. 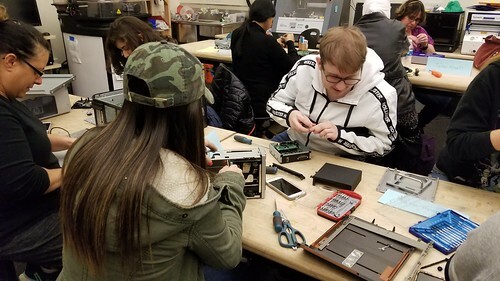 At the start of the class, we talked about the relationship between tinkering, making and engineering, shared some examples, and after a very brief discussion of safety – no plugging things in! 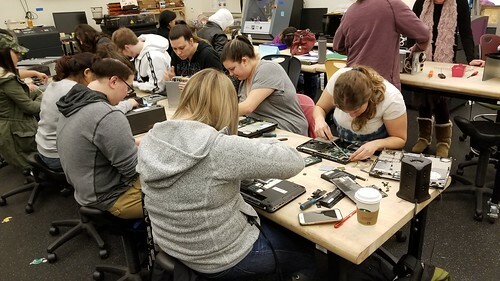 – students chose an item from a pile of broken and obsolete printers, laptops and desktop computers, tape and optical drives, and other electronic detritus, and began the process of unscrewing cases, cutting cables, and generally deconstructing their items. Students settled quickly into the work, and were laughing and sharing and generally having a good time. 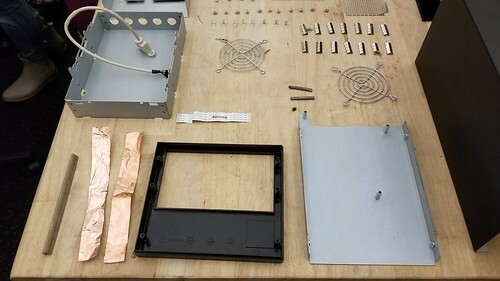 Unsurprisingly perhaps, many reported never having seen the inside of a laptop or DVD drive, and they were excited to explore. At the end of the session, we asked them to share their thoughts and feelings as they tinkered. Students shared feelings of pride and satisfaction, and described the activity as therapeutic, relaxing, savage, confusing, and cathartic. 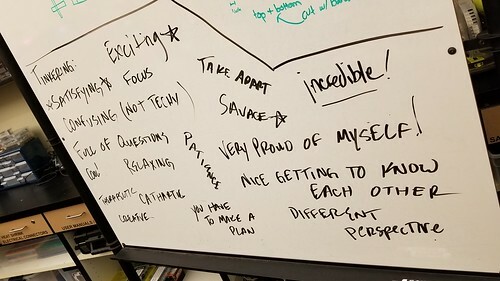 After almost two years of development, it’s satisfying (and therapeutic, relaxing, savage, confusing, and cathartic) to get this class up and running, and we’re looking forward to learning alongside these brave and creative students.